Since we were little girls we have wanted to be beautiful, we are led to think it is how we look. 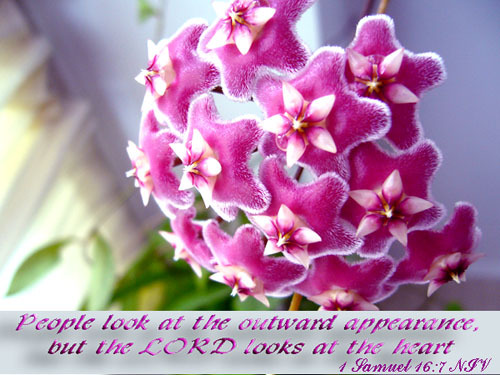 We shouldn't worry so much, as the Lord looks at our heart not at our appearance. Maybe it is age, but I would get more pleasure out of someone saying 'she has a beautiful heart' than the throw away phrase 'She is beautiful'. Although, if I am honest that would be nice too!